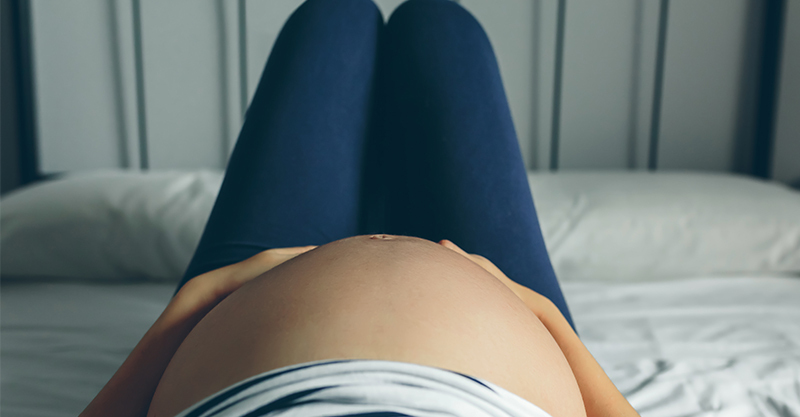 "A friend shared my pregnancy news and I don't know what to do"
Rethinking the 12-week rule: Why do we make mums do the hardest weeks alone? 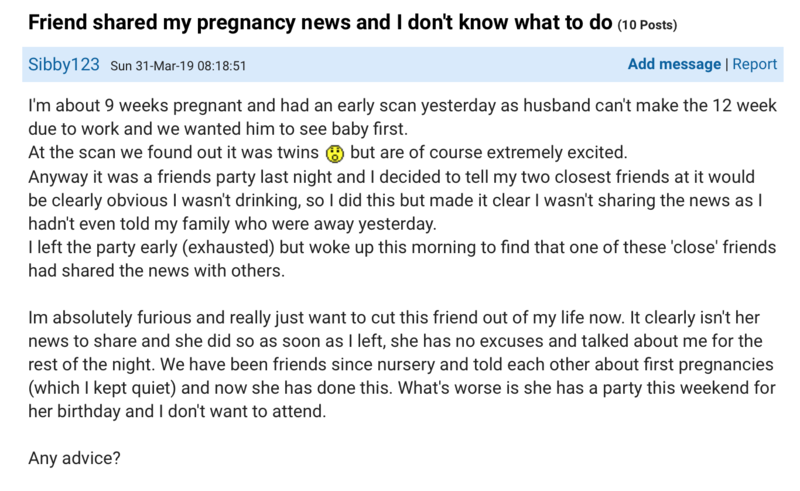 A dismayed mum-to-be took to Mumsnet to share her experience of this very thing, revealing that she was expecting twins but that a friend broke the news to the world. What happened was that she was at a party the night before she posted her story, and of course, she wasn’t drinking alcohol. Because pregnant. She knew two of her closest buddies – who were also at the party – would start asking questions about her tee-totalling, so she preempted this by quietly sharing her baby news. To say she was upset by this turn of events would be putting it mildly. She explains that she and the secret-spiller have been friends since they were tiny and that they’d kept each other’s first pregnancy secrets. 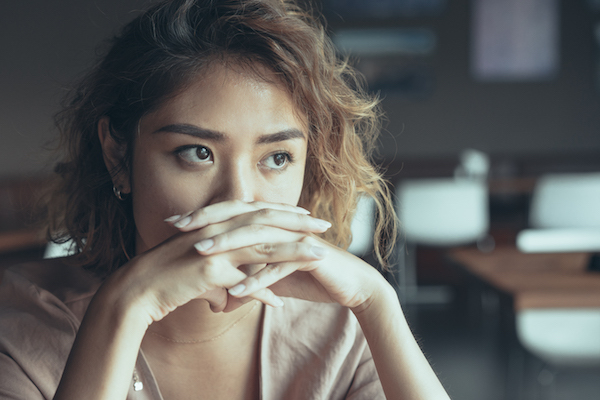 “She has a party this weekend for her birthday and I don’t want to attend,” the mum writes asking how she should move forward from what she sees clearly as a betrayal. “This happened to me, my best friend had told people after I left a party, woke up to lots of ‘congratulations’ messages and I’d not even told my grandparents yet. She was very remorseful, blamed it on having a few too many wines but to this day I’ve never fully got my trust back in her and that was over 5 years ago. It’s a great question, and I guess it depends on the intention behind the secret-spilling. If it was accidental merry sharing of gorgeous news, it’s probably good to salvage the friendship. But if it was an attempt to usurp the mum-to-be’s excitement? That’s another kettle of fish.